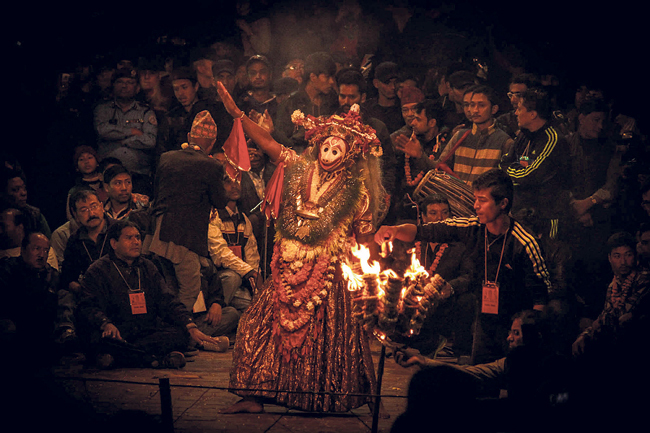 A photo by Sulav Bhakta Shrestha, third place winner of ‘Nepal Smiles’ category. 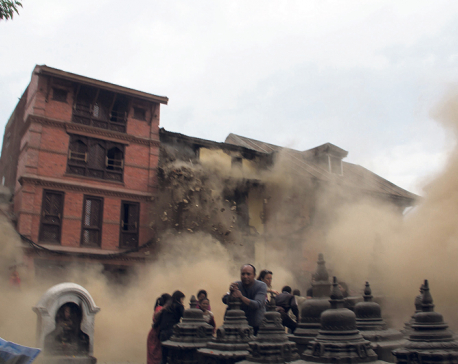 The photo was taken during the 2015 earthquake in Swayambhu and depicts a group of frightened people as heavy dust from the falling debris swirls around them. A total of 6670 photos were submitted by 811 individuals in the competition. 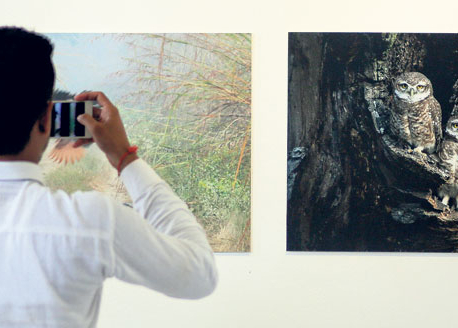 Except the major Photo of the Year title, the competition was divided into seven categories. The top three winners of each category received Rs 30,000, Rs 20,000 and Rs 10,000 respectively. 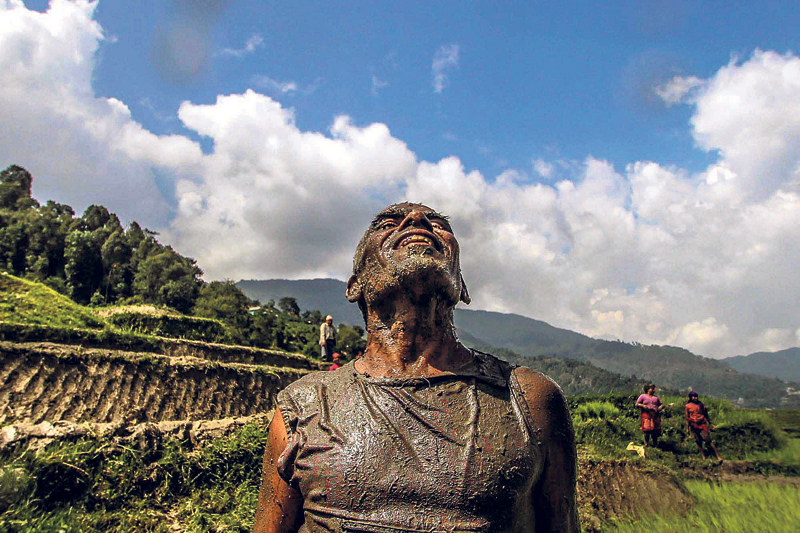 Indian photojournalist Prashant Panjiar headed the seven member jury that included journalist Kunda Dixit, photographer Mani Lama, curator Sangita Thapa, KU School of Art’s coordinator Sujan Chitrakar, photojournalists Narendra Shrestha and Prakash Mathema. 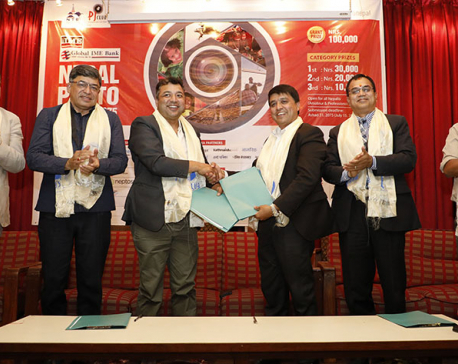 The shortlisted 150 photographs will be exhibited in five major cities of Nepal. 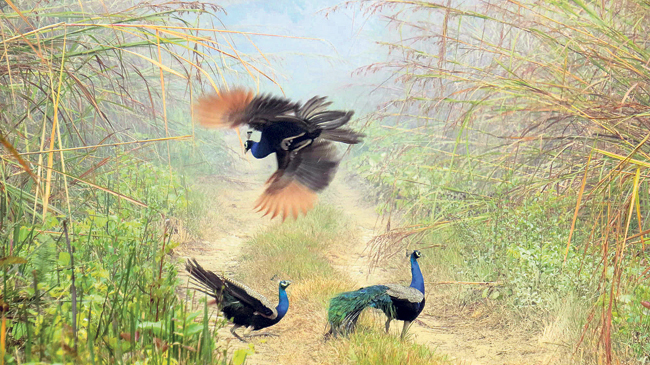 A photo by Ramesh Kumar Poudel, winner of ‘Nature and Wildlife’ category.